In the depths of the winter, an advert appeared in The Tablet for an “Adventure into Silence” retreat in the Sinai desert. Looking out of the window at yet more snow and ice, I decided to investigate thinking that, if I went on it, I would at least get some sun this year. This was obviously the cue for the stunning summer weather! However, the idea of going to a place that has so inspired people for generations would not go away and so I booked the retreat. Read the full article. 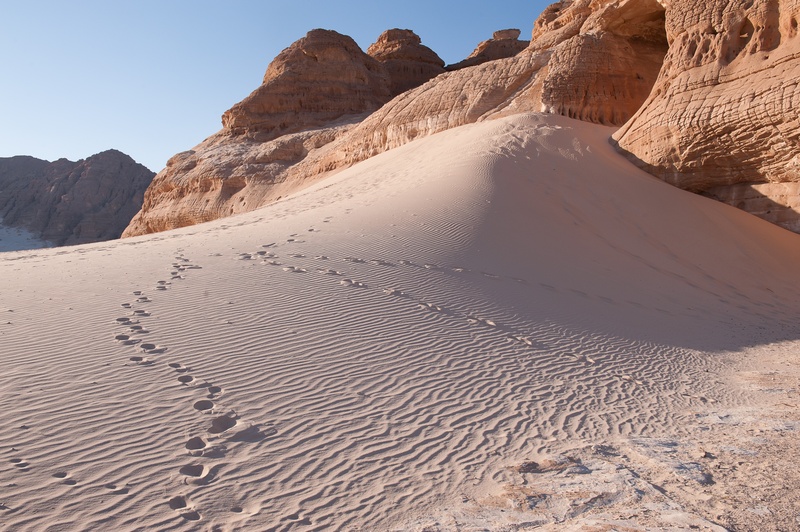 You can also listen here to Kathryn’s interview with Premier North East Radio, about her experience in South Sinai and her plans to return to the desert again in 2015, offering a new desert retreat experience in the footsteps of desert wanderers from the Bible and early Christianity. Kathryn Turner is Head of the Department for Spirituality at the Catholic Diocese of Hexham and Newcastle.